« Raydale Red’s: Squirrels that is! 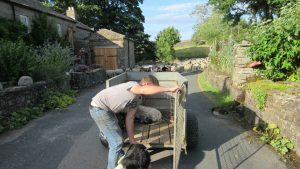 Every year we get a few hundred ewe’s with their lambs passing our house as they are slowly walked down the dale from their summer pasture up Craig Dale. 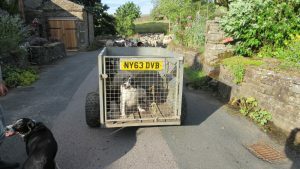 They are brought down from the hills for shearing by a couple of shepherds and their dogs. Though it is clear some stray lambs and ewe’s have joined the parade! 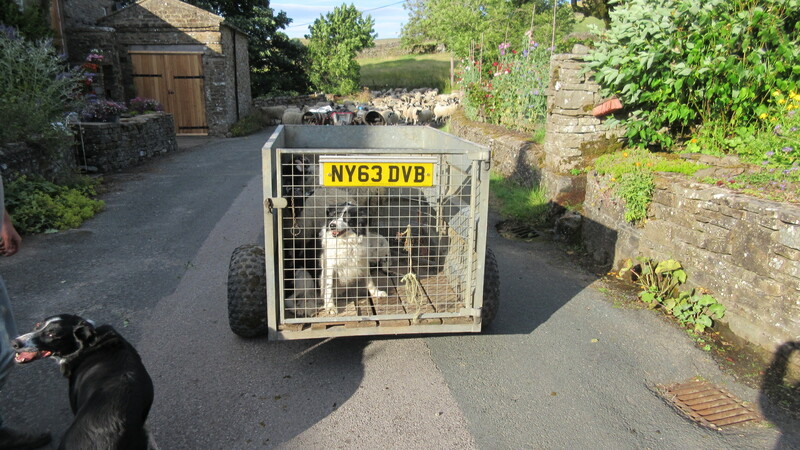 Toby is one of those bringing the sheep down, and he had to stop to give his old dog some much needed water. This dog is 14 but still keen to work, even if the body is not keen to oblige. It proved too warm and so had to be helped down in the ambulance trailer with a couple of sheep, stopping off at our water for a drink. Toby takes his old dog for a drink. Here is a short video to give you a feel for the spectacle we enjoy every year, though the garden can suffer from the many hungry mouths.